Maude E. Callen was born in Quincy, Florida in 1898. She had many siblings and was orphaned at age six. Callan was raised by her uncle, a physician in Florida, and became a devoted nurse. 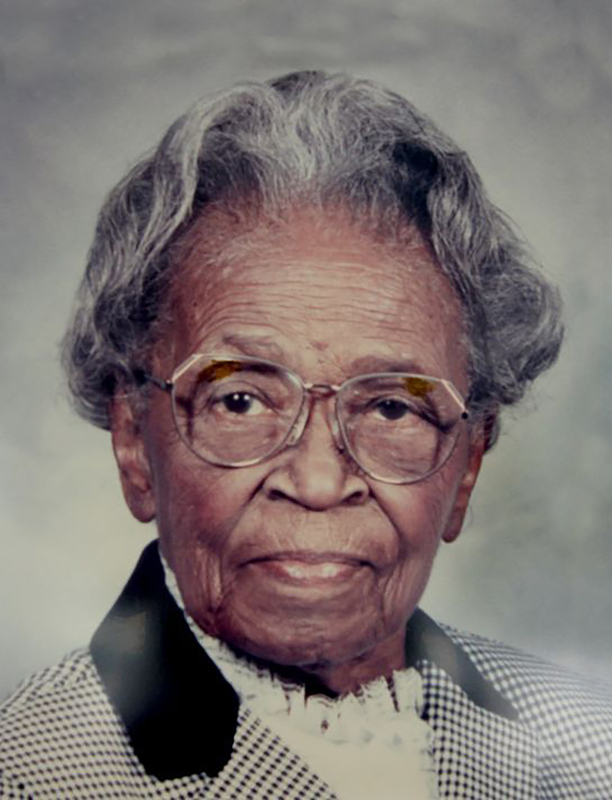 She served as a nurse-midwife in the Lowcountry of South Carolina for more than 60 years. Callen graduated from Florida A&M College and went on to the Tuskegee Institute for nursing coursework. In 1923, she was called as an Episcopal missionary nurse and set up a practice as a nurse-midwife in poverty-stricken Pineville, South Carolina. At the time, there were only nine nurse-midwives in South Carolina, and in her lifetime she delivered more than 600 babies. She also instructed other women on midwifery in the Pineville community and attended to thousands of patients in the area, most of whom were African American and poor. In 1936, Callen became a public health nurse with the Berkeley County Health Department. She continued training young black women as midwives and taught them about prenatal care, labor support, delivery and newborn babies. Life magazine published a photo essay of Callen’s work in 1951, and as a result, readers donated thousands of dollars to support her work in Pineville. She used the donations to open the Maude E. Callen Clinic in 1953, which she ran until she retired in 1971. Even after her retirement, Callen continued to volunteer and managed a nutrition program for senior citizens, which she operated out of the Maude E. Callen Clinic. The program offered cooked meals, home delivery of the meals five days a week and also provided transportation for the elderly. Many of the citizens she served were younger than Callen herself. She was reportedly invited to the White House by President Ronald Reagan, but declined the invitation because of her commitment to her volunteer service. Callen was honored with many honorary degrees and awards, including an American Institute of Public Service Award and the Order of the Palmetto, given to her by Governor Richard Riley. She continued her volunteer work until her death in 1990.